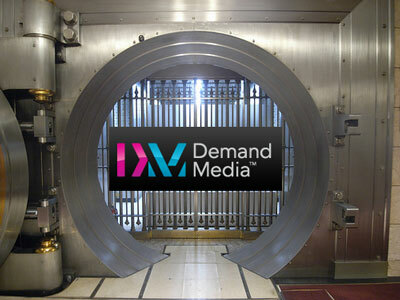 Demand Media on Thursday watched as their price per share stumbled to $5.60 upon news that a technical glitched eroded traffic at their main property eHow.com while also announcing that nearly 85% of their freelance writing staff was essentially being cut out of receiving articles worth writing. Under a new 48-hour lockout window Demand Media writers with a 4/5 writer score or higher are provided with the first choice of articles, leaving the rest of their writing pool to essentially fight for scraps which at $15 per article is unlikely to happen with the type of fervor that helps the company succeed in the first place. Demand Media was already in trouble after their core websites saw traffic declines following the release of Google Panda, a new set of algorithms seeks out “content farms” while allowing niche and authoritative websites to be more easily found at the top of search results where properties including eHow.com, Cracked.com and Livestrong.com once resided. Many investors have also shied away from the company’s aggressive accounting practices, specifically a practice that allows them to capitalize content costs while amortizing them over a 5 year period. Using this practice Demand Media has been able to show a profit that isn’t there, while also giving the company a higher EBITDA (Earnings Before Interest, Taxes, Depreciation and Amortization (EBITDA) then they deserve since they are essentially stating that their earnings don’t include the tremendous cost of the content they create. One saving grace for the company is their domain business which is valued in the vicinity of $200 million, a business that offers a stronger footing then their content farms and third party content creation businesses.